Spotted last weekend in Bristol! Spotted waiting to pull out of the shell station by Cribbs Causeway - cant remember which day as passed that spot on both Friday and Sunday! Must be a v early phase 2 as on an f plate?! Anyone we know? Not one that I recognise or remember. The bodykit and door strips are P2 but the C pillar vents are the inboard P1 type. Last edited by Mike P on Sun Jun 24, 2012 8:30 am, edited 1 time in total. Its not a TZD either, its a 19rd with a turbo engine and body kit. That would partly explain the sedate pace then lol. Or just driving responsibly! Was nice to see a BX on the road for a change - been a long time! Adrian E wrote: That would partly explain the sedate pace then lol. Or just driving responsibly! 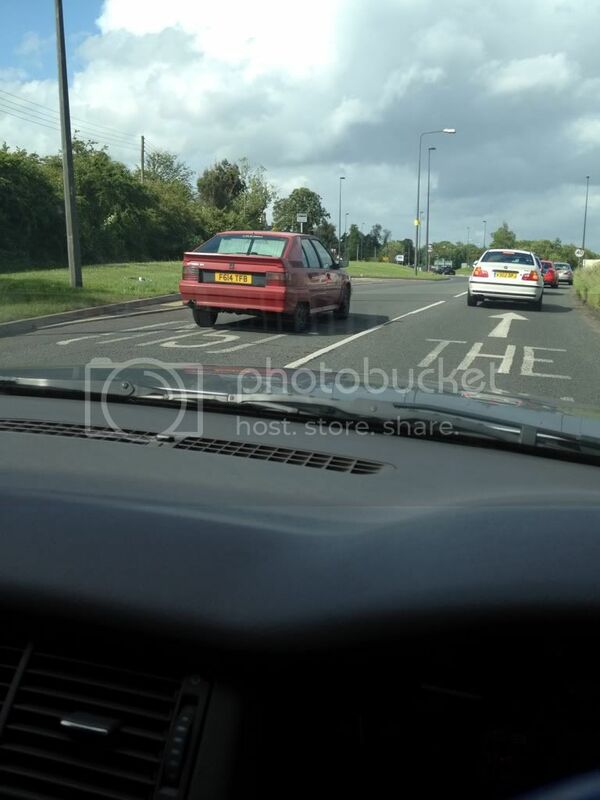 Was nice to see a BX on the road for a change - been a long time!